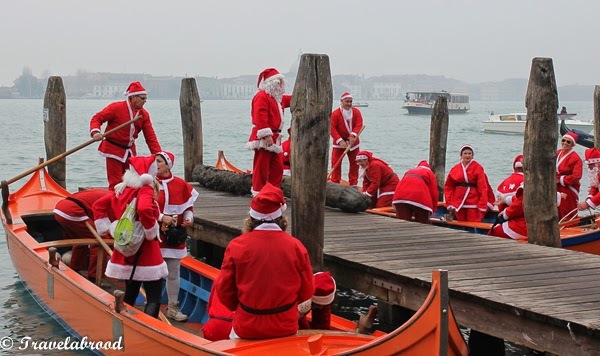 For Christmas this year we chose to visit Venice, Italy. Throughout the year our choices had changed from Sri Lanka, Oman, America and finally we decided on Venice. 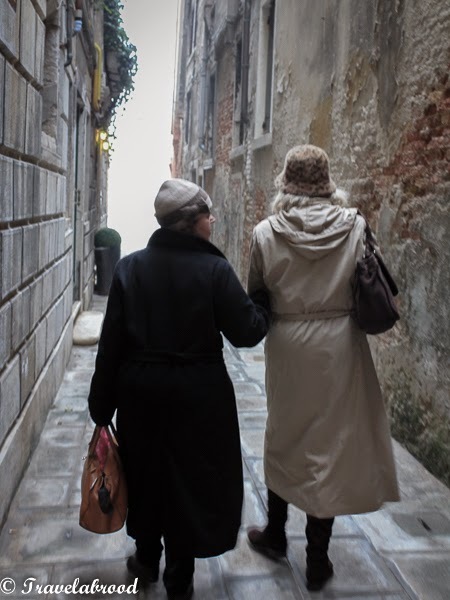 Friends of ours had spent the previous Christmas in Italy and raved about how beautiful Venice was and how at Christmas time (especially the week before Christmas) the streets weren't crowded, the weather was pleasant and the food spectacular. As per usual we spent an enormous amount of time organising our itinerary. It was the usual brood travelling (2 x teenagers, 2 x 40 somethings and 2 x grandies), so we made sure that we had everything covered for all age levels. Our trip from WA was direct to Venice via Dubai. Ten hours on the plane to Dubai, a quick swim (always carry your swimmers in your hand luggage - especially with kids - most airports have a pool), shower and change and then onto Venice. Unfortunately, the island city was under cloud as we flew in, however we captured glimpses of the Grand Canal and could just make out St Marks Basilica. 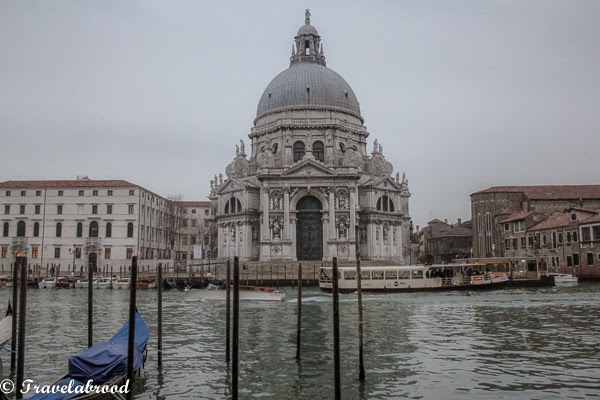 The apartment we had rented for a week was magically located on the Grand Canal looking over to Santa Maria della Salute and a three minute walk to San Marco Square. We had booked the apartment online through http://www.trulyveniceapartments.com and it did not disappoint. With the time difference and a little jet lag, we didn't waste any time walking to our dinner destination Da Mamo Pizzeria http://www.damamo.it/eng/ near the Rialto Bridge. I had been given this recommendation by a french friend of mine, who visits Venice regularly. I had also made a booking before leaving Australia as I didn't want to arrive and be walking around for hours looking for somewhere to eat. 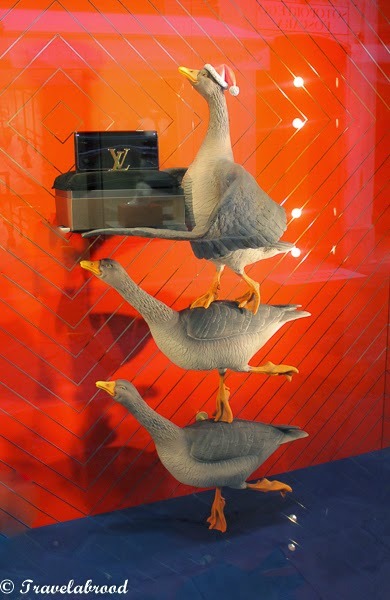 Fortunately the rain had stopped and the Christmas lights sparkled as singers performed in San Marco square and Louis Vuitton teased tourists with their high class window displays. 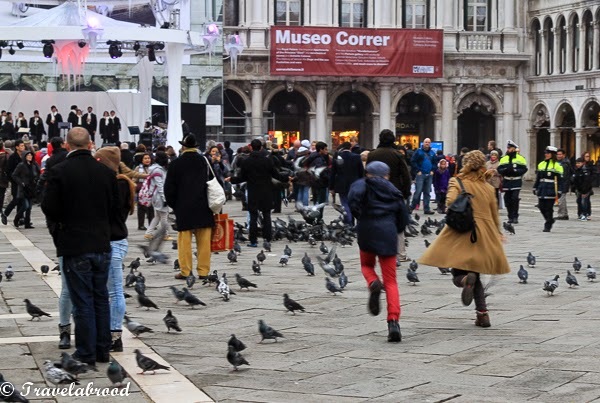 Staying so close to San Marco square, we found ourselves traversing it at all times of the day and night. At any time it is full of movement, light and during the day pigeons! A great entertainment for children of all ages as they sit on your arms, head and shoulders and frantically flap their wings when chased. Walking along the waterfront we passed Santas racing gondolas, the Doges Palace, the famous Danieli Hotel and down to the Naval Museum (closed today! ), the Arsenal and back to the nearest Vaporetto where we transferred over to the Jewish Quarter of Guidecca. Guidecca is mostly a residential island with the Fortuny Mill boldly taking prime position on the foreshore along with the Hotel Stucky which was once a flour mill. The island is also home to the women's prison. A quick coffee at the Hilton and we traversed back across the canal to Vaporetto Stop Zattere for a fabulous lunch at the very understated Terrazza de Casin dei Nobili. It was wonderful and we completed our lunch by visiting Gelataria Nico (written up as the best in Venice - questionable?). 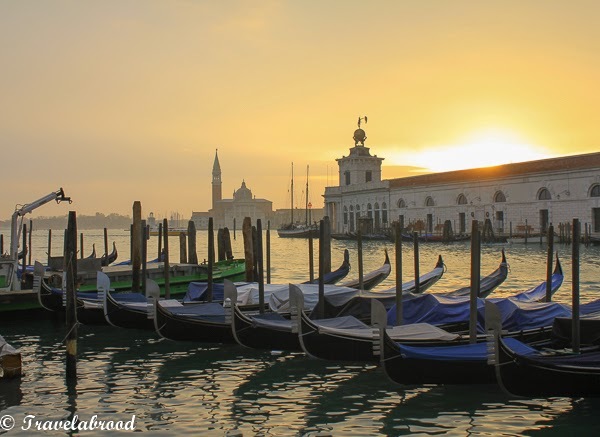 The Vaporetto is a great way to get around Venice. With a weekly pass you can hop on and off as much as you'd like. They run on time, often and at Christmas aren't crowded. The ice-rink is at Campo, San Polo near Silvestri Vaporetto. It's a really small man-made rink around a fountain and even though the open times are posted on a sign at the hire window, the operators do not stay true to these hours! In any case, it was a great distraction for the kids, while we sat and had a well needed coffee. Dinner was booked at Il Ridotto. I did do a lot of research into restaurants before we left and made bookings at the places that looked popular. Being a party of six, it is often difficult to just walk-in and also being Christmas, a lot of restaurants close for the festive season. Il Ridotto was a disappointment to us. It was overpriced, lacked atmosphere and the food wasn't nearly as good as what we had experienced at lunch. All the same, on tripadvisor someone had posted a rave review and they were in the restaurant at the same time as us. Perhaps they had a better table away from the closet and toilet door? City walking tours with a local is a great way to learn about the local history and experience the city through a locals eyes. I had booked a private walking tour with Nadia and she didn't disappoint. http://www.nancyaiellotours.com/ She took us down all the back streets, told us how the bells worked as warning bells, showed us where gondolas were made, pointed out the rubbish, police and fire boats, took us for coffee at a private apartment and kept all six of us entertained for the day. I really thought the kids would find it an "adult day", but not once did they complain of boredom. Well worth it as you will see so many things you won't be able to find again! Dinner tonight at Vino, Vino wine bar http://www.vinovinowinebar.com/it/. 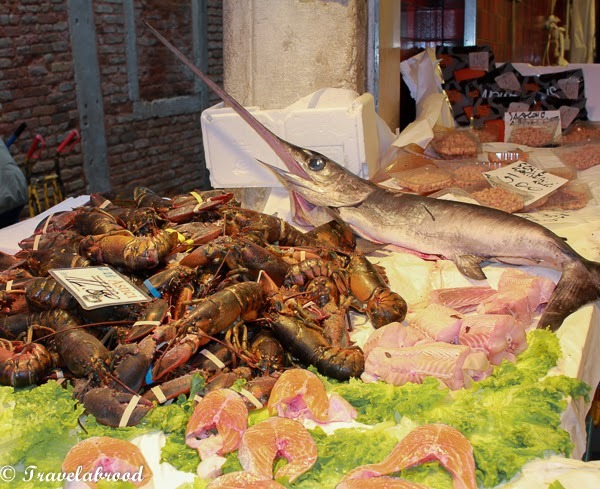 A local find close to our apartment and near the Teatro La Fenice http://www.teatrolafenice.it . Absolutely fabulous! Christmas Eve and the fish markets are open for the morning. It was a buzz with people and is surrounded by cicchetti (small bars), butchers, cheese shops and bakeries. Don't forget to take your own shopping bags to the market and/or your shopping trolley - although beware of the little bridges you have to carry your trolley up and over. While tourists and locals hurry to buy presents and food, Christmas Eve is an excellent time to visit tourist spots such as the Doges Palace. They are usually quiet of large tourist groups and being winter you aren't competing with the summer crowds and queues. It's also a great time to visit St Marks Basilica where they are preparing for midnight mass. A fancy Christmas Eve dinner for us at one of Venices institutions, Da Fiore in San Polo. http://www.dafiore.net/en/ I had booked months in advance for dinner here and had read mixed reviews on the family run restaurant. The whole experience was truly amazing and the food delicious. 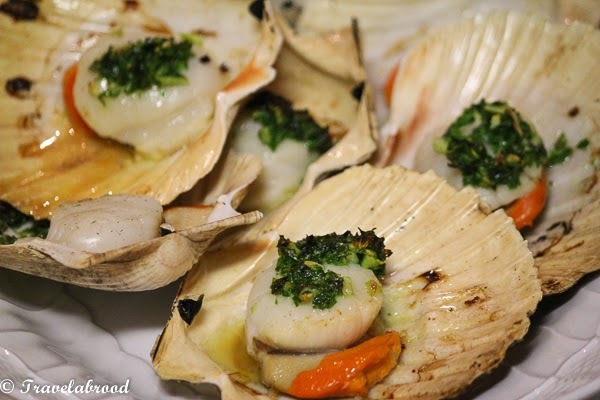 As Venice lies on salt flats the fish and seafood can be quite salty, however Da Fiore had special sauces which complimented the saltiness and a wine list to match. It was a perfect way to spend Christmas Eve. Chistmas Day and we woke up to the most beautiful sunrise. We had been so lucky with the weather all week. It hadn't rained at all and the temperature was around 10 degrees during the day. After breakfast and presents we walked over the Accademia Bridge to Dorsoduro and up to the Basilica dei Frari http://www.basilicadeifrari.it/ and onto the ice-skating which as mentioned before wasn't always open at the advertised times. On to the famous Gritti Palace for a celebratory champagne and back to our apartment to gobble up all the produce we'd bought at the markets the previous day. Harry's Bar started in 1931 by Cipriani. Another Venice institution, this is one you can miss. Take a photo of the window that states it's Harry's Bar before you hop on or off the Vaporetto. The food it awful, the decor is out of date and the prices are ridiculous. 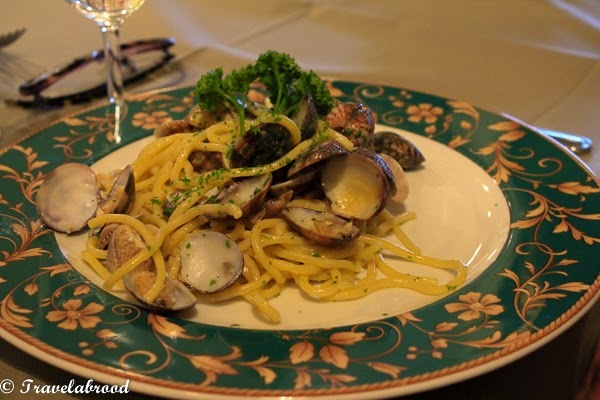 There are so many great restaurants in Venice, give this one a wide berth! It was windy and cold on Christmas Night with rain and the Aqua Alta looming. Everyone said we would experience the Aqua Alta and that we did. Boxing Day morning and we were trapped in our apartment. The only way out was via the water door. 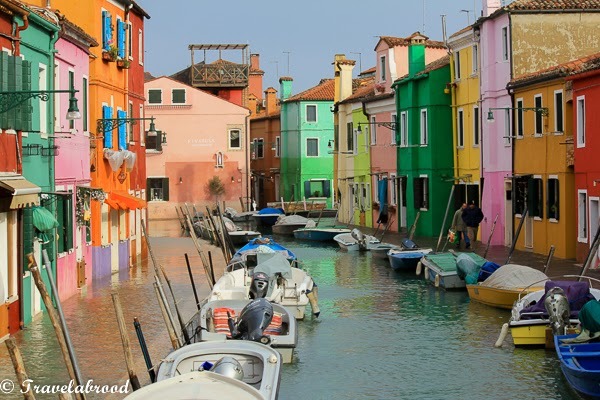 So with that we treated ourselves to a water taxi and visited Murano (the glass island) and Burano (the lace island). By the time we returned to Venice, the water had subsided leaving huge puddles of water. The boardwalks which had been put out by city workers the previous night had all been packed up again and life returned to normal. With this, we took the opportunity to visit the Opera House which had been burned down five times and restored. The theatre itself isn't huge, however exquisite with private boxes and chandeliers. Dinner at Enoteca, San Marco http://www.osteriasanmarco.it/en/homepage.php just around the corner from us. A really funky little bar with a well priced menu and excellent wine. After Da Fiore this was our favourite and the area it is located has nice shops and a great atmosphere. On our last day we finally visited an open Naval Museum. We must have been to see if it was open every day and finally it was. It was one of the best museums I think I've ever seen. Do not miss seeing this little gem! 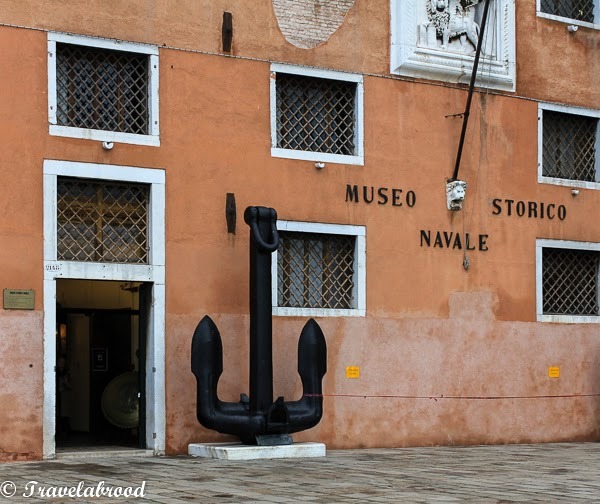 From the Naval Museum up to the Peggy Guggenheim and our trip has come to an end. Our last dinner was at Bistrot de Venise http://www.bistrotdevenise.com/ another restaurant I booked well in advance and well worthwhile. The waiters, food and wine here are exceptional and it was a fantastic way to end our magical Christmas week in Venice.